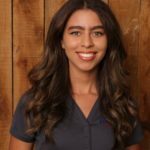 Zoe Thomas is a social media and sales support specialist who helps EHI to grow their customer base through social media marketing. Through social media, Zoe believes she can help businesses such as EHI to develop brand awareness and increase customer satisfaction. Zoe is currently finishing her Bachelors of Science in Business Management.